Take that satisfying last sip of milk at the bottom of your cereal bowl to the next level with these oh-so-yummy milk shots made just for grown-ups! 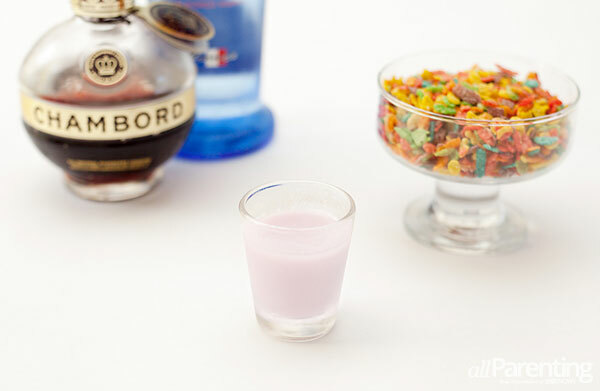 From Fruity Pebbles breakfast shot cocktails to Cinnamon Toast Crunch cereal shots, raise your glass to these lip-smacking breakfast cereal shots you're sure to love. Whether you love to savor the fruity milk left behind by your rainbow-hued cereal late in the day or are seeking a sweet, dessert-like drink, you won't want to miss out on this sweet and refreshing cereal-themed shot that your guests will be talking about for years to come. Mix 2 parts Tropical Punch vodka, 1 part Chambord, 2 parts pineapple juice and 2 parts strawberry milk in a shot glass or rocks glass and mix well. Garnish with fruity cereal and toast to some 'me' time! There's something about Cocoa Puffs milk that takes you back to those mornings before sleeping in was a distant memory. 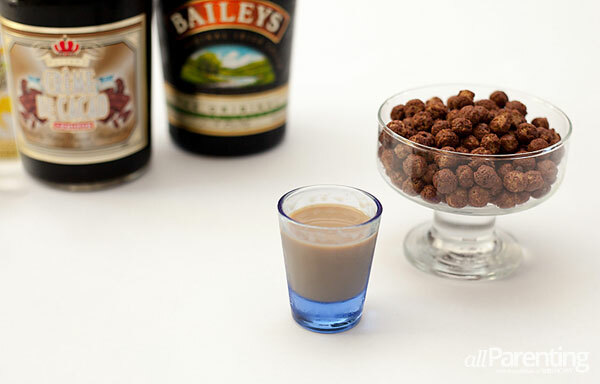 But, the adult version of this breakfast cereal shot can be enjoyed late into the night just as soon as the kids hit the sack — and you won't even need a spoon! Combine equal parts crème de cacao, vanilla vodka and Irish cream in a shaker with ice and mix. Pour into a shot glass; toss a couple of pieces of chocolate puffed cereal to garnish if you wish and your milk shot is ready to serve. Bottoms up! One sip of this decadent milk shot adapted from a breakfast favorite turned breakfast cereal and you'll be running for your fuzzy slippers! You can adjust the amount of cinnamon to taste but there's one thing for sure: Your taste buds are in for a treat regardless of the time of day you savor this libation. Combine 1 part butterscotch schnapps, 2 parts Tres Leches and a pinch of cinnamon in a rocks glass over ice and stir. 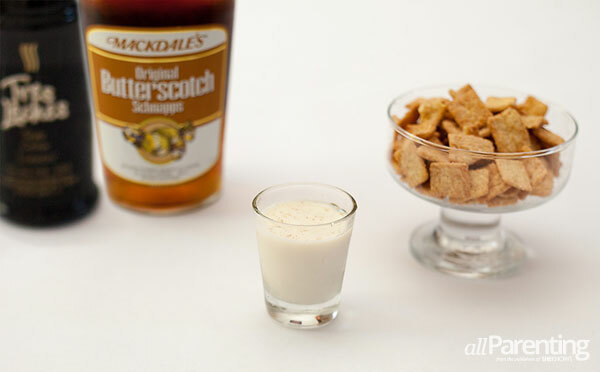 Garnish with a piece of cinnamon sugar cereal and raise your glass to a well-earned shot.